News Reviews Online News Reviews Online is the most-referenced source of news releases for financial professionals. So it’s done. The US has suspended its participation in the Intermediate-range Nuclear Forces (INF) Treaty, and Russia soon followed suit. This almost certainly spells an end to this late Cold War relic, which banned the two superpowers from deploying ground-launched ballistic missiles and cruise missiles with ranges of 500-5,500km. There have been recriminations all round. But in the end, so far as two of the world’s three most greatest military Powers are concerned, upholding the INF Treaty could never have been done exactly to the letter. The US has specified Russia’s Novator 9M729 (NATO designation: SSC-8) as the offending missile that finally prompted US action. Russian nuclear weapons analyst Pavel Podvig has noted that it is very similar to the Russian Navy’s Kalibr-NK cruise missile, which has a range well beyond 500 km and has been touted as a potential “carrier killer”. Podvig goes on to speculate that if the US had observed a test of the 9M729 from a land-based Iskander-M launcher – even if on just a single occasion – then all of them “would have to be eliminated” by the formal terms of the treaty. This is obviously not something that Russia could reasonably be expected to carry out. Moreover, any number of US missile systems can be considered to be in breach of the INF Treaty. For instance, the Russians have argued that America’s AEGIS Ashore program – a ground-based cruise missile, for all intents and purposes – can also be considered to be in systemic breach of the INF Treaty. Incidentally, this system was itself enabled by America’s unilateral withdrawal from the Anti-Ballistic Missile Treaty with Russia in 2002, under the George W. Bush administration. Trump has been taking heat for the INF withdrawal from the usual quarters. For instance, the top comment on this story at r/politics – a bastion of online Trump/Putin Derangement Syndrome – lambasts the US President for spoiling America’s image and letting down its allies instead of sanctioning Russia. (Naturally, no mention of where exactly it says that breaking the Treaty is grounds for such). In reality, dissatisfaction with the INF Treaty had been building up for years within the previous Obama administration, and NATO has released a statement of support for Trump’s decision. There is no significant division on this matter either within US political circles, or its transatlantic allies. Because at the end of the day, rhetoric to the contrary, nobody really cares about the INF Treaty within Europe. Force levels on both sides of the border between the West and Russia – which has moved 1,000-1,500 km to the east, in large part thanks to NATO’s broken promises not to expand – are at a small fraction of Cold War levels. Few seriously believe that Russia has any territorial designs on the Baltics, and even on the off chance that it does, it’s not like the 9M729 is going to make any cardinal difference. However, it is with respect to the balance of power in the West Pacific that the restrictions imposed by the INF on the US – but not on China – come into play. While consensus expert opinion holds that the US still retains dominance in the South China Sea vis-à-vis China, its margin of superiority is shrinking year by year. In a 2015 report, the RAND Corporation estimated that the number of US air wings required to defeat a surge of attacking Chinese aircraft over Taiwan increased from just a couple in 1996 to 30 by 2017. In a subsequent report released in the following year, we see the balance of power in potential China-US conflict scenarios shift from a terminal Chinese disadvantage in 1996, to parity over Taiwan by 2017 (though they believe that the US still holds a decisive advantage in a conflict over the Spratly Islands). 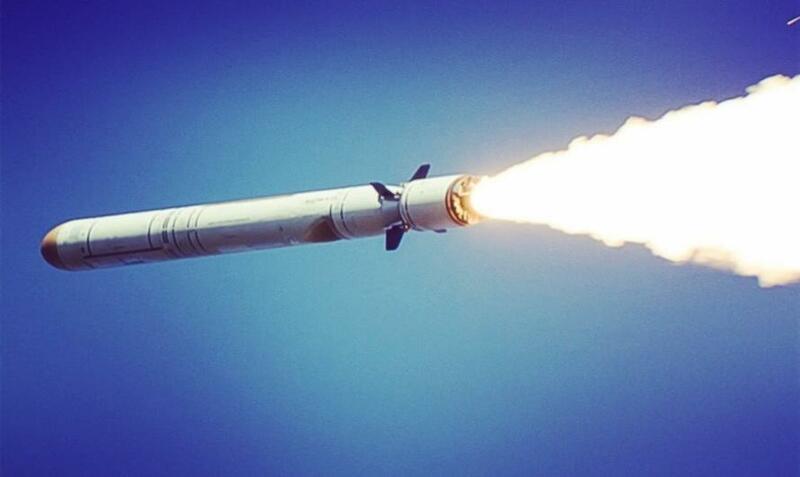 Even so, it is especially notable that the only two categories in a conflict over Taiwan in which RAND now considers China to hold an advantage – “Chinese attacks on air bases” and “Chinese anti-surface warfare” – are both spheres in which intermediate-range ballistic missiles would play an important role. It has long been obvious that the US (correctly) regards China as the real long-term threat to its global hegemony. Meanwhile, Russia is a mere nuisance, a “dying bear” that is ever approaching collapse, in the wake of which Moscow will have no choice but to sign up to America’s China containment project. (Sure, this sounds like a crazy ideological narrative, and it is – but the US policy of alienating Russia and drawing it into a quasi-alliance with China is even crazier – just ask Kissinger). But like it or not, this really is how the American elites think, and it can’t be denied that there is a certain logic to it. In this context, withdrawal from the INF Treaty – with Russia’s alleged violations as pretext – is just the logical next step to the military component of Obama’s “pivot to Asia”, one that the US is entirely happy to continue and follow through with. It really is as banal as that.